A dental implant is an artificial root made of titanium metal, which is inserted into the jawbone to replace the natural tooth’s root. While replacing missing roots, it also can support an artificial replacement tooth. The replacement tooth is attached to the implant, which then acts as an anchor to hold the replacement tooth in place. An increasing number of people choose to replace missing teeth with dental implants instead of dental bridges because bridges last five to seven years, 10 years at most. Of course, implants do need to be adjusted but with proper care you can have them for a lifetime. 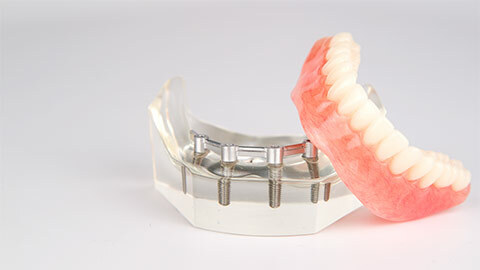 Dental implants allow you to maintain the natural shape of your face and smile. Artificial replacement teeth attached to implants look and act much like natural teeth because dental implants are placed in the jawbone. 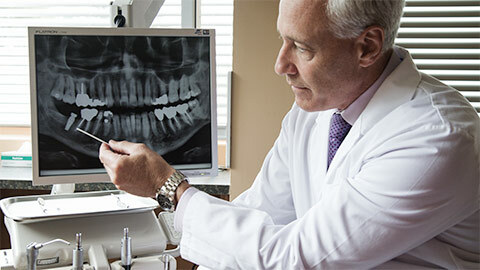 Several visits to our office will be needed to complete dental implants.